Never believe a word she tells you. She is paid handsomely and I have even had her room redecorated in the South wing just for her. 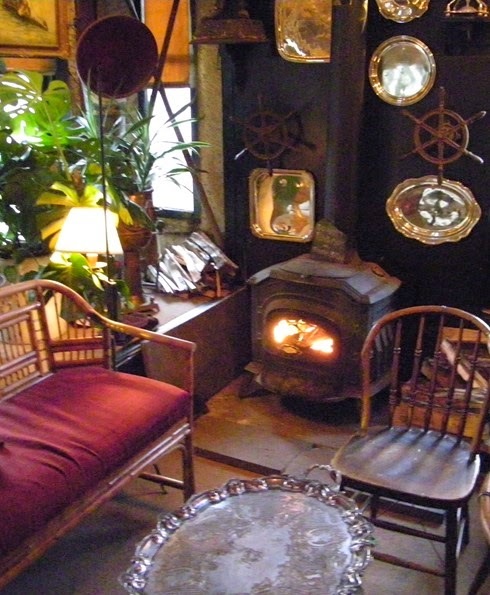 Just look at this room will you?? 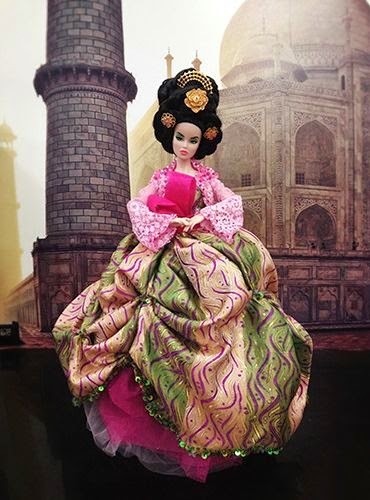 Here she was on a trip last year in China. My official Astrologer, Ming Crystal was none to happy that Ms.Moorecock took her wardrobe from her on the trip, and then returned the items with cigarette burn holes, and soy sauce stains...at least we think it was soy sauce. Just recently, she was in West Palm for a supposed " trying to find myself" vacation. More like trying to snag, or should I say shag, a rich old man. Just look at her....She has the kind of eyes that go over a man like a search light. At least she has the good taste to use her paychecks on a good milliner. The other night, Anita gave as a fashion show of her ensemble for her Easter outfit. Then she expected the houseboys to place all their eggs in one basket. Just watching it, Chi Chi LaRue would have had a blockbuster on her hands. Here, Ms.Moorecock was the hit of my now famous Oscar party. But just what my golden houseboy was doing is beyond me. Looks like he was caught coming out from under the dress, you ask me. I also funded her trip to Paris recently. She says she wanted to sample authenic French bagettes. She never did say if she tried them, but I couldn't help but notice, she was walking with a limp for a week. I will say though, she never ages, and almost appears plastic.....must be those glazes she goes for every other night. In other news, Anita and I are over joyed Goggle changed the stance with their guidelines. We thought we were going to have pack up with the houseboys and head for greener pastures. Not that we had worry, but felt sorry for the censorship and lack of Freedom of speech, for many others I don't know we could support a corporation who keeps such strong holds on all our ways of expression. Now Anita Dear, could you fetch me another G&T!!!!! It's that dreaded day every parent hopes they will never see. 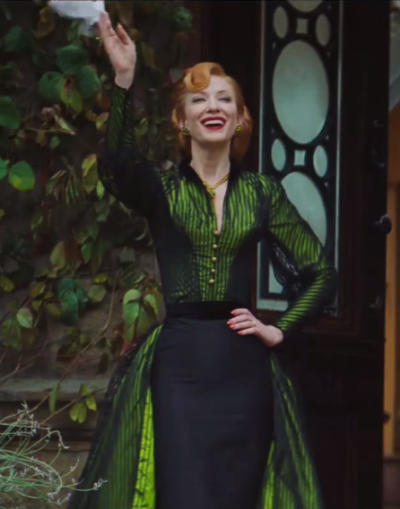 Cinderella looks tantalizing, and from the few glimpses I have seen promises to be a visually gorgeous film. 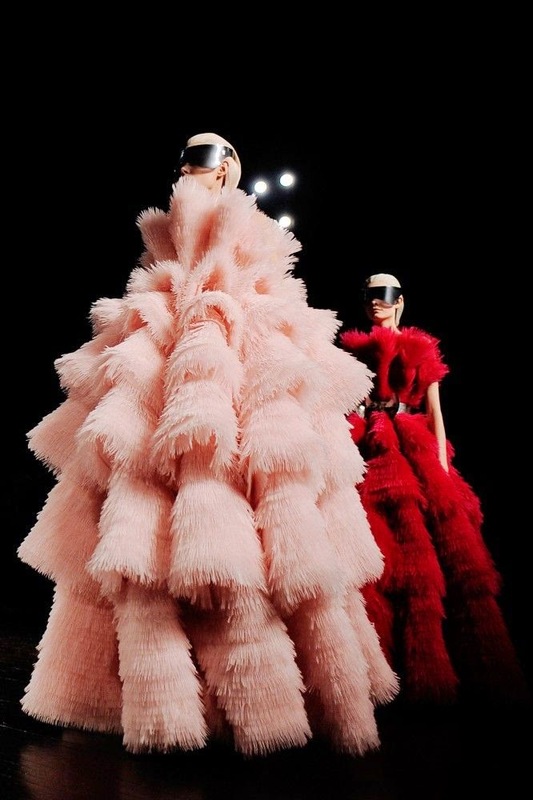 The costumes, designed by three time Academy Award winner Sandy Powell, appear to be absolutely stunning. 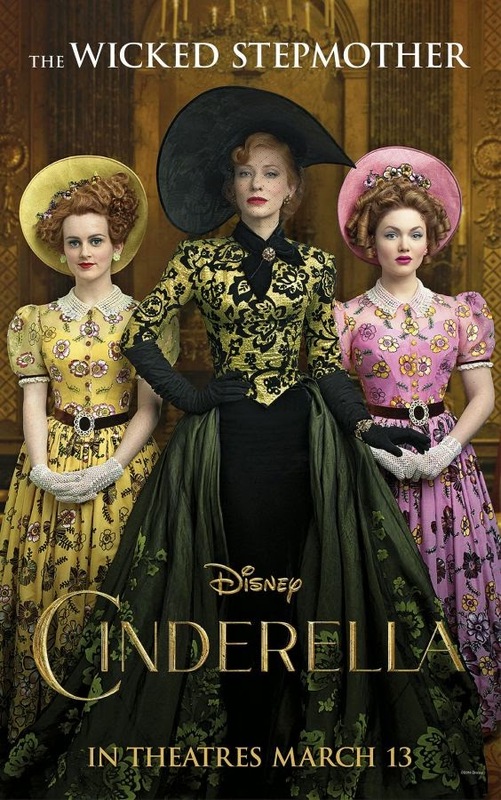 Cinderella’s Fairy Godmother, played by another favorite actress of mine, Helena Bonham-Carter,is more glamorous than her animated counterpart. She is decked out in a fantastical 18th century style gown with a wide ruff made from layers of filmy ice-blue fabric. 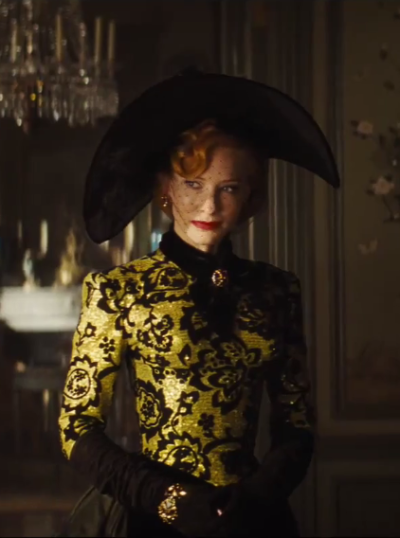 But the real star of the movie has to be the evil Stepmother, Lady Tremaine, played by Cate Blanchet. 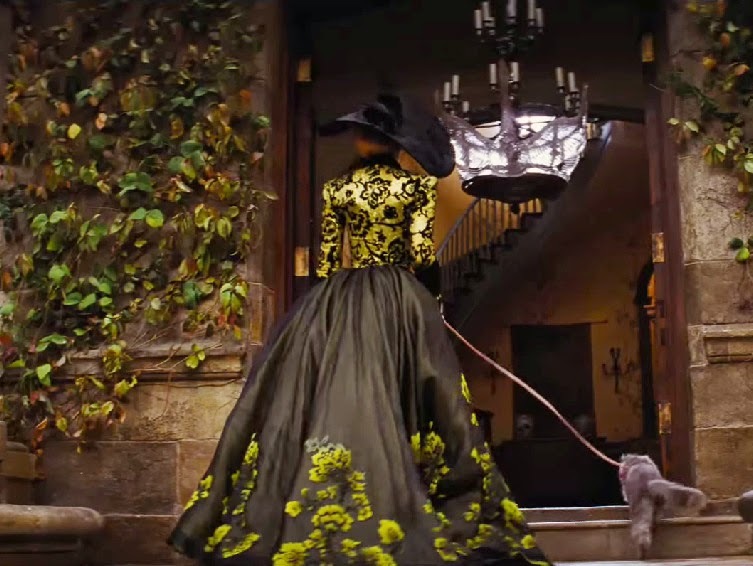 We first see her stepping from her carriage with a cat on a leash! 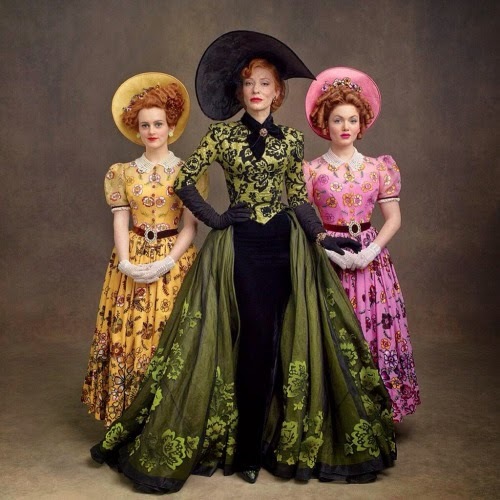 Dressed in a formfitting gold lamé bodice with black florals, a full black skirt decorated with an eighteenth-century style floral pattern in a sickly shade of green-yellow, and an exaggerated bonnet that takes inspiration from both the 1830s and the 1950s. The extremely fashionable and heightened silhouette screams power, while the black and yellow color palette brings to mind a bee, poised to sting its prey. We also briefly see her in a leopard print, another reference to a dangerous beast of the wild. 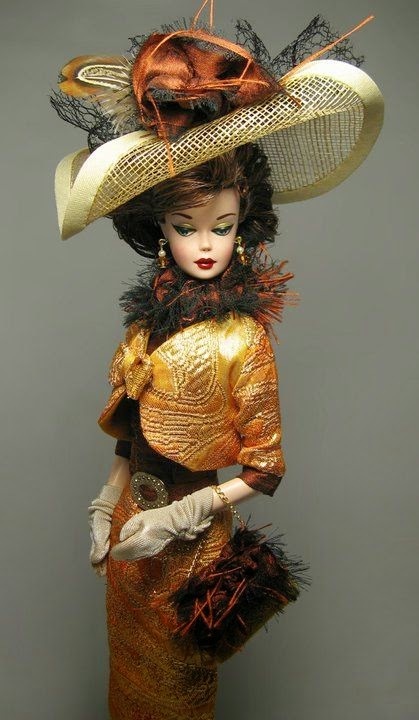 The outfit is reminiscent of the Marquise de Merteuil’s black and yellow travelling outfit from 1989’s Dangerous Liaisons, a fitting comparison as the Marquise is another scheming and manipulative character. 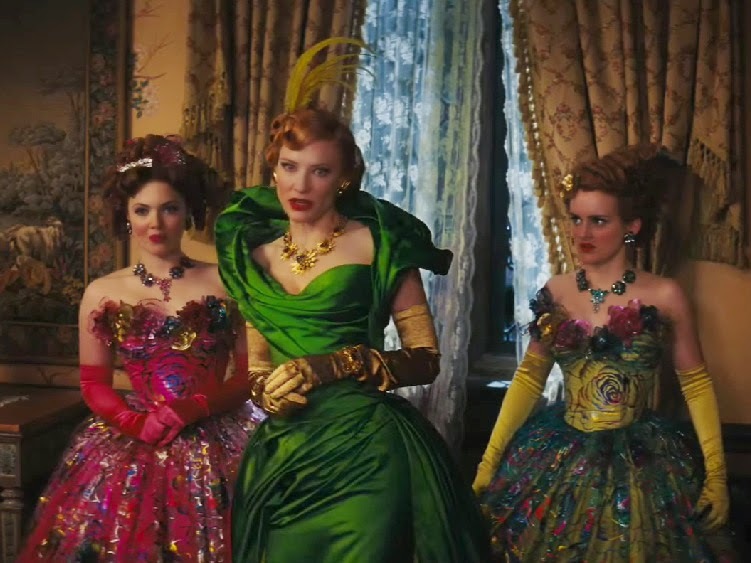 Lady Tremaine’s other outfits are no less fierce. Her green ensembles take inspiration from mid-20th century fashion designer Charles James’ ‘Butterfly’ dress. James’ gowns are known for their extremely sculptural quality and many have a rigid architecture supporting the layers of luxury fabric. 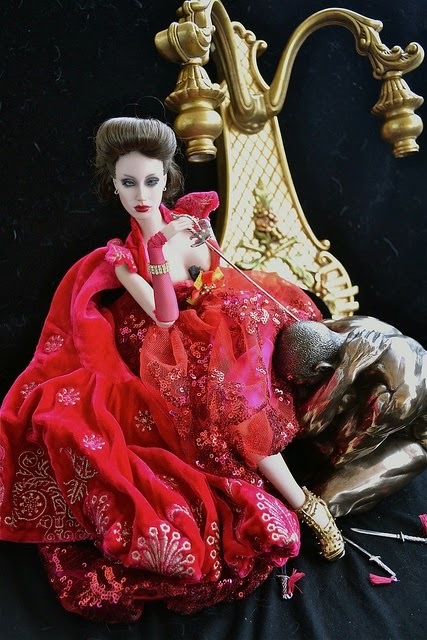 This tight, structured, and sometimes harsh aesthetic is perfectly suited to the character of the evil Stepmother. 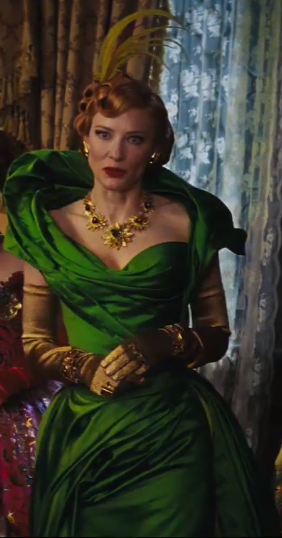 And in contrast to the airy costumes of Cinderella and the Fairy Godmother, Lady Tremaine’s gowns are made of heavy satins and taffetas in oversaturated shades of green, yellow, and red, invoking themes of poison and danger.It also looks as if Cate really got into the part. Could this be yet another good cast? By the evil look if her eyes and that smug smirk, I'd say so!! Felicity Jones.....who arrived in a silver halter gown featuring an embellished bodice and full satin skirt from Alexander McQueen. 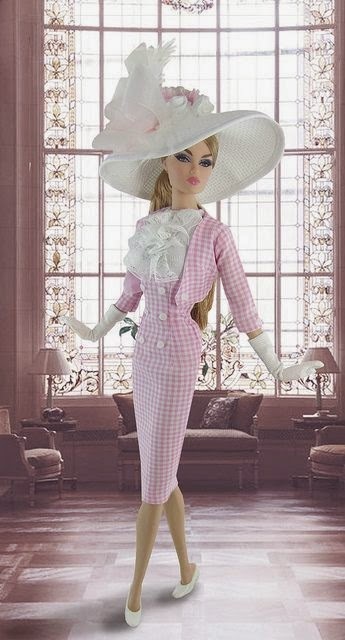 I found it elegant, timeless, and lady like, but modern at the same time. Julianne Moore looked elegant in a white Chanel gown. A nice vintage look while being age appropriate and yet modern. The 54-year-old actress, who was nominated and won for the Best Actress award for her work in Still Alice, completed the look with Chopard jewels. She sparkled. French actress and singer Marion Cotillard kept it simple in a white floor length Christian Dior Couture gown. Can you say modern Audrey Hepburn? Chic and classy. And did anyone else think Jennifer Lopez looked like a flesh colored Ursula the Sea Witch? Also did anyone else find Melanie Griffith and daughter Dakota on the red carpet to have a weird, tension moment???? It felt very awkward to me. It was also nice to see the Grand Budapest Hotel win a few awards. Now, y'all for a completely entertaining, smart and snarky recap of the good, the bad and the downright ugly and all other coverage and going on's check out blog buddy Bob's Oscar Post later today over at I Should Be Laughing. You won't be disappointed. 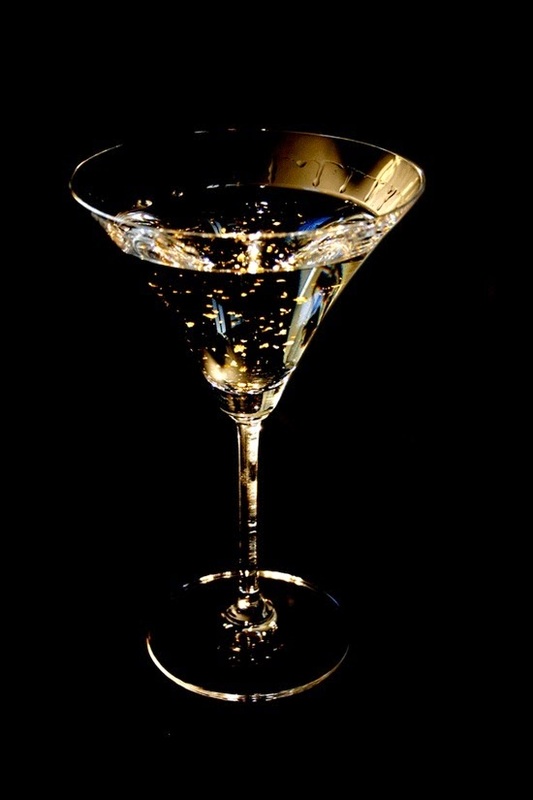 Chef even came up with a lovely gold libation..... sure to flow all night. And the best thing is yours truly can stay in my lovely boudoir marabou feather dressing gown which is elegant enough to entertain in and then take it to bed for slumbering in...... I even had one made for my chamber maid. I don't know what she is doing lately, but she is looking awful plastic to me these days, or is it me??? And since our favorite film was the Grand Budapest Hotel, where we hope to retire to one day, the Mistress is giving out Mendl's cakes to everybody!!!! Now at the end of the night, if someone could do the honor to unzip me please. I love me some turtle neck action. Warm, a great look and can to worn alone or with a jacket, or with jeans, cords, or a dress pant, often like when I go to work.. Patterns I also love. Sometimes when out for the night or drinks I throw on my sage colored jeans with this striped sweater, a floral pattern tie, and this navy dress shirt. Another style I like is the baseball sweater. It helps us little guys to be a bit more "built" in appearance. These are two of those sweaters with the same sage jean. On weekends, when out and about, casual lunch out with the boys for shopping, I will tie in my two favorite wardrobe pieces, a cashmere sweater and a hoodie...with a sport coat. Way back in November, I wore this striped crew neck, with a nice denim look with jeans, a denim shirt and boots and my coveted versatile navy wool pea coat. If you know me you'll know I love my wool cable stich sweaters....they look great with jeans, cords, denim coats and with hoodies. But then there is the family gatherings, where I may dress dress up/casual with a V-neck cashmere sweater, white dress shirt and grey wool pants. I can look conservative from time to time. And let us not forget the lovely cardigan, which I have several of. For a night out or work, I also love me some shawl collar action. They add just a bit of a little flair to the look. Here I wore it with a dress shirt and a tie loosely tied. Don't forget about the ever faithful scarf. 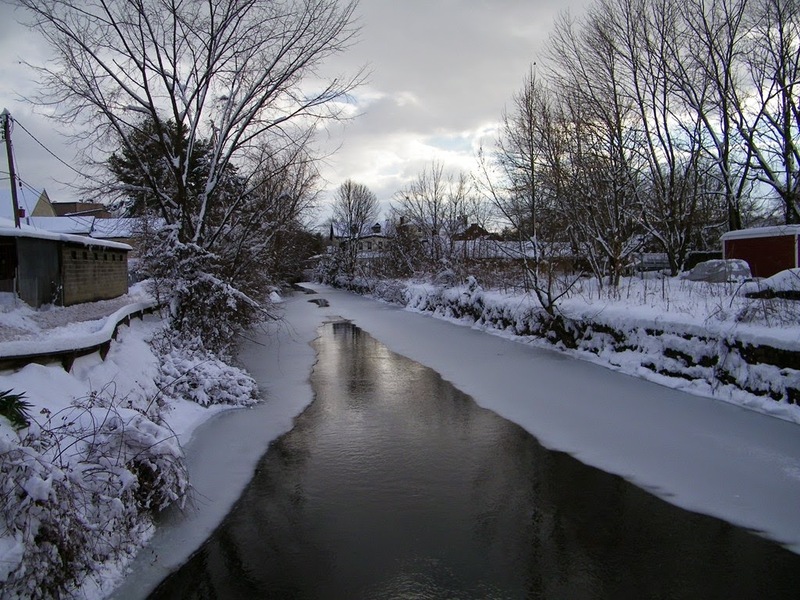 Whether indoors or out, a nice wool, cashmere, or cotton scarf can add to a nice winter look when it comes to layering, and to help beat the elements. There is looking like you care about your clothes, and there is looking like clothes are all you care about. I’d rather be the former. And the key to a smart closet seems to be an exercise in restraint, taste and editing, inter mixing items to get more looks, regardless of spending power. Maybe in another post we'll discuss what your socks say about you!!! Thanks to the Lad and Preston for helping with pictures!!!! 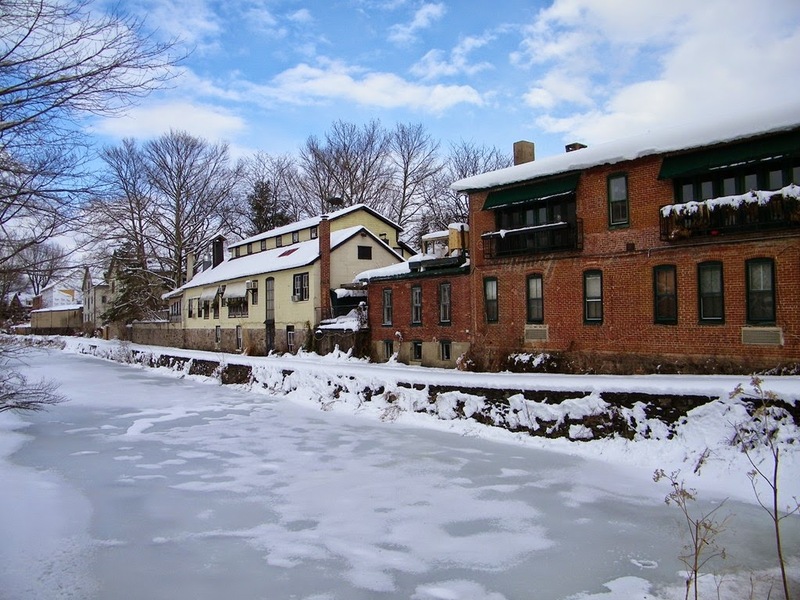 When in this neck of the wood, one of the best kept secrets to us locals here is at 8 1/2 Coryell Street in Lambertville. 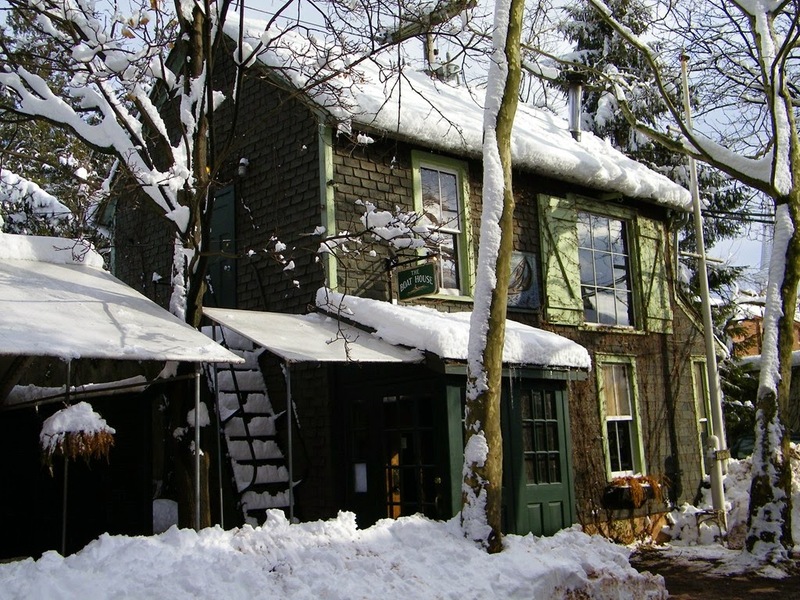 And if I might be honest, one of my favorite winter time haunts. Warmed Espresso Martini. Like warming nectar of the Gods!!!!! Make no assumptions based upon the masthead either. 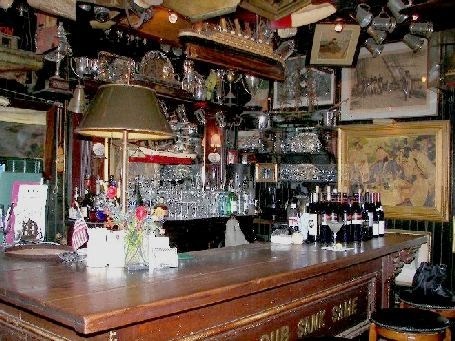 It would be foolish for anyone to quantify through some formula of critical analysis the merits of a great tavern. 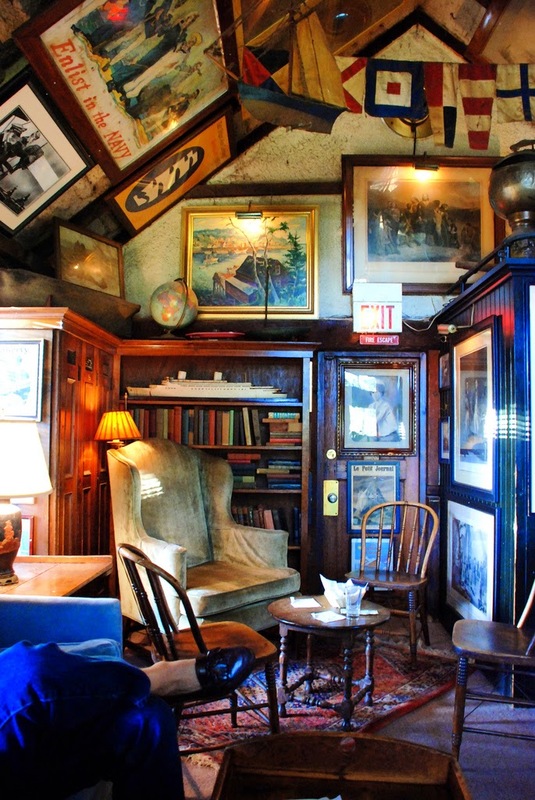 Such an endeavor would be like rating the ability of the great houses of worship to fuel man's spiritual aspirations.The delightful bar is graced with a beautiful patina, old world bar tends, and many maritime and nautical memorabilia. 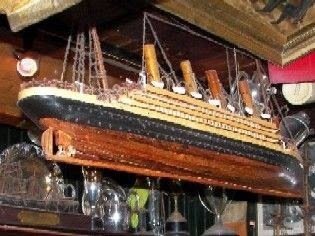 All cocktails are delivered to you by way of server on a antique silver tray. No need to worry here. 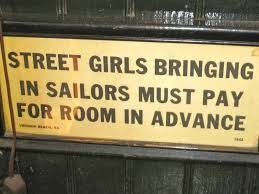 the Mistress has regular room facilities here. 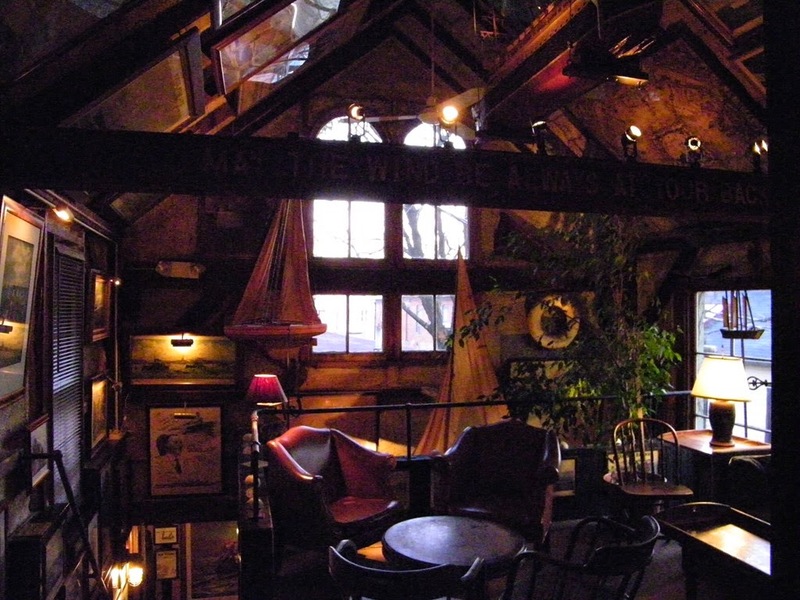 Food is not served at the Boat House. While some might consider this a drawback, I quite frankly find it refreshing not to have the somewhat frenetic aspects and scents of food service competing with the libation ritual. For those who insist on solid sustenance, there are many excellent eateries within walking distance. But in my opinion, food would only take up space from these delicious martinis. Ahhhhhh, I do love my espresso martini at the end of the day......just about as much as the ones I have in the morning! YOU NEVER HEARD OF A FASTNACHT??? WHAT IS THIS GAME THING?